A couple of months back I attended a blogger event in Horsham, Pop Up Horsham (see blog post here). 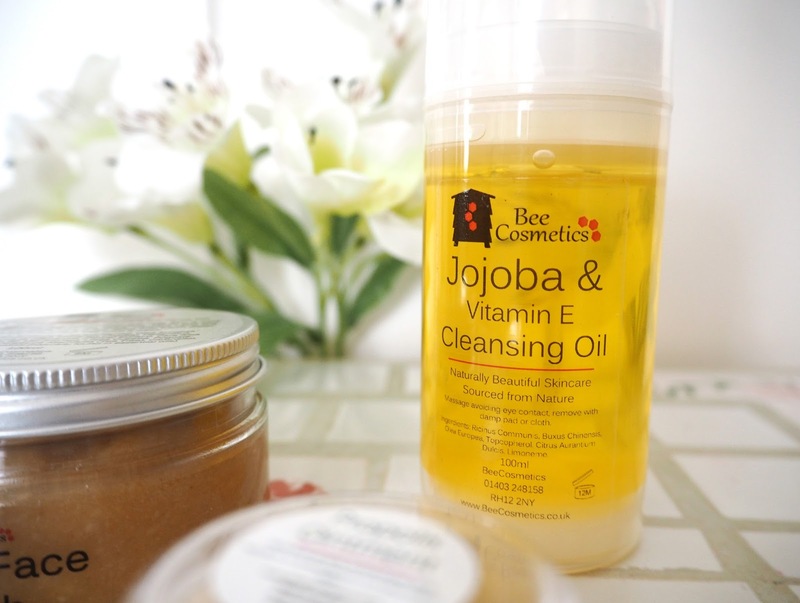 There I discovered the Organic Skincare brand Bee Cosmetics. A family run business by couple Derek & Elizabeth. They became beekeepers 10 years ago and now look after over 40 beehives at their home! 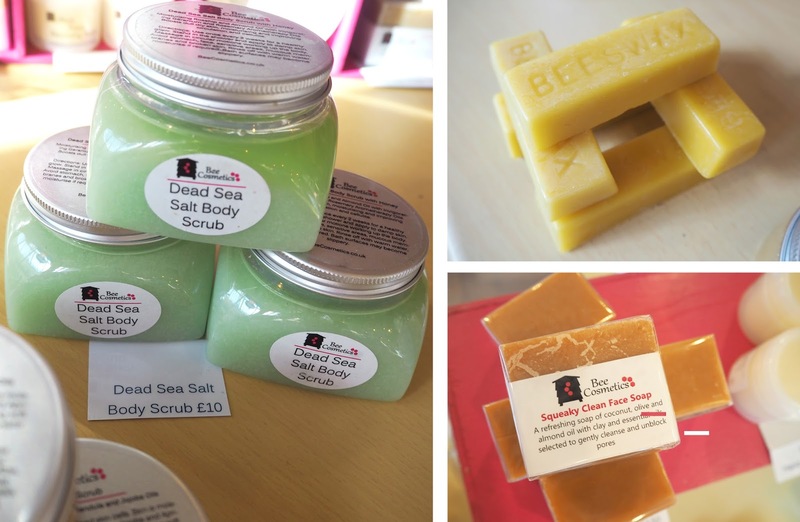 Elizabeth began experimenting with beeswax soaps and creams just for fun. 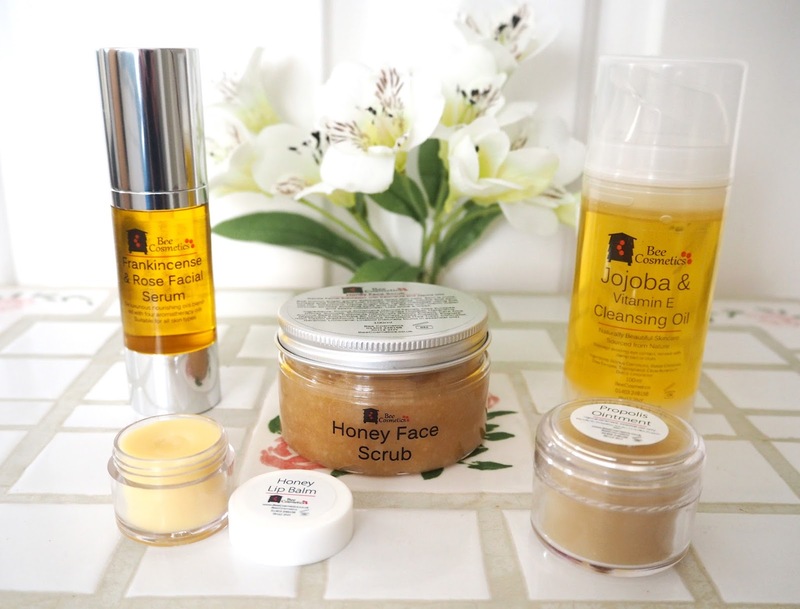 After discovering so many skincare benefits from the hive products Elizabeth then started to build up a range of natural, kind skincare products which all have the beautiful fragrance of honey from their own hives! I spoke to Elizabeth at length and she was kind enough to give me several products from their range to trial out. 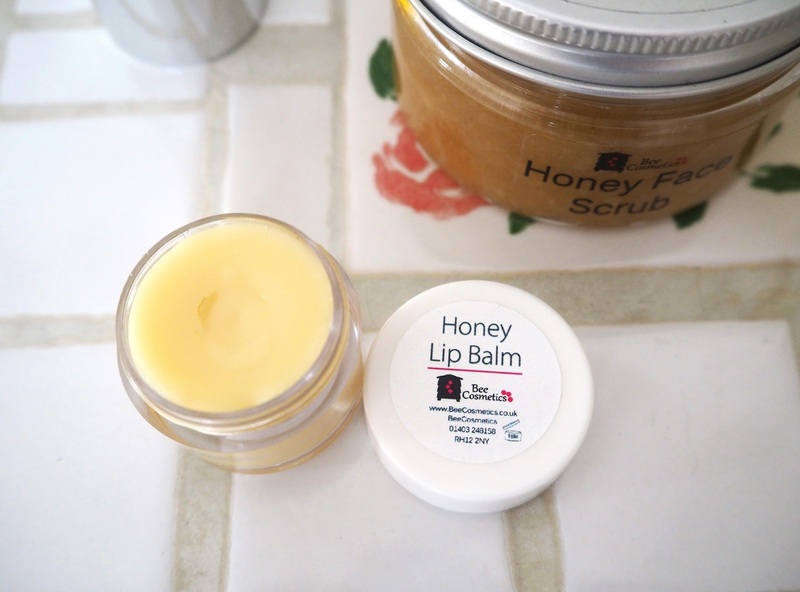 Bee Cosmetics* uses a variety of hive products to make our cosmetics natural and pure. 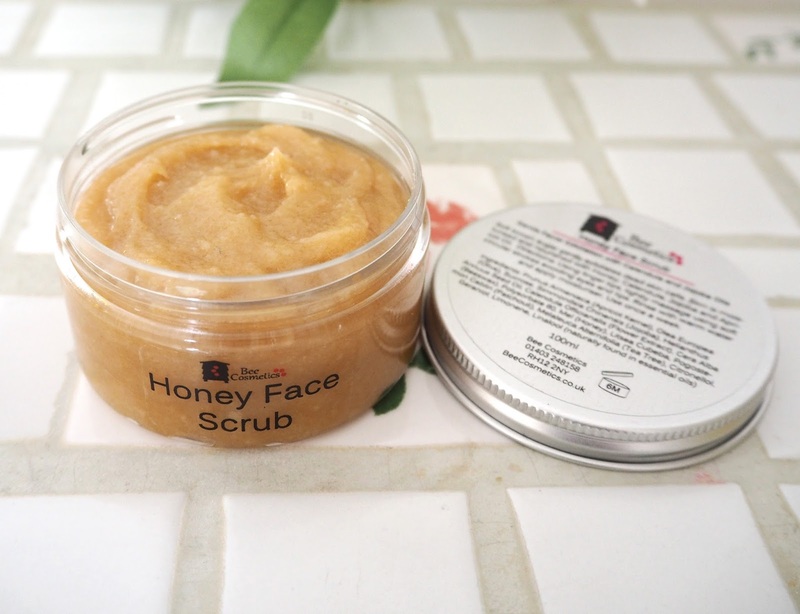 Honey – Honey is used in products for skin softening, helping to retain the skins moisture and is soothing and antiseptic. Created from nectar collected from plants. Nectar has high water content and therefore ferments. Honey however is one of the only foods that is non-perishable meaning bees can use honey as a source of food all year round. Honey varies in colour, smell and taste depending on the types of flowers visited. Beeswax – Beeswax is used for scent, texture and firmness for a longer lasting soap bar. Produced from the glands under the abdomen of worker bees. Wax is used to build honey comb which stores honey and pollen as well as accommodating the brood (eggs and larvae). 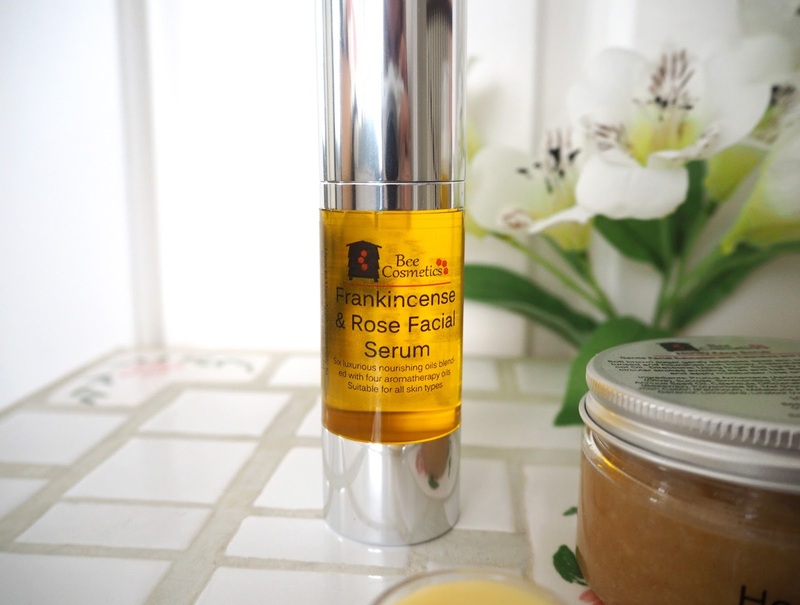 Propolis – Propolis is used for it's colour, scent and healing properties. Sap is collected from tree resins which mixes with wax creating propolis. Bees use propolis to seal cracks and repair their hive. Bees also use propolis to mummify invading rodents such as mice, as it acts as a natural preservative. Pollen – Pollen is one of the richest and purest natural foods making up a significant proportion of a bees diet, its high level of protein makes it an essential food for younger bees. Royal Jelly – A milky substance that turns normal worker eggs into queen bees. Royal jelly is created using pollen and honey mixed with a natural chemical secretion produced from a gland in a worker bees head. 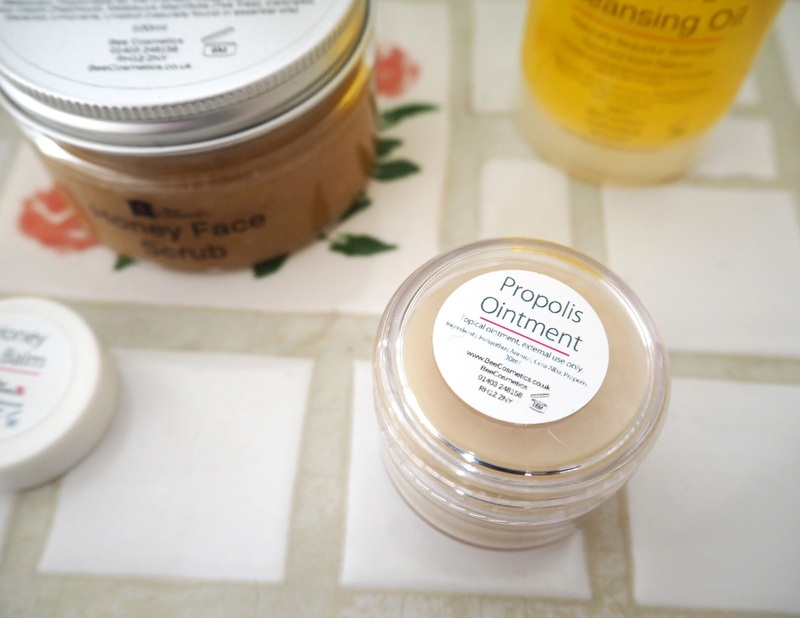 Bee Cosmetics believe in creating simple recipes harnessing the natural skincare properties of beeswax, honey and propolis from their own beehives. 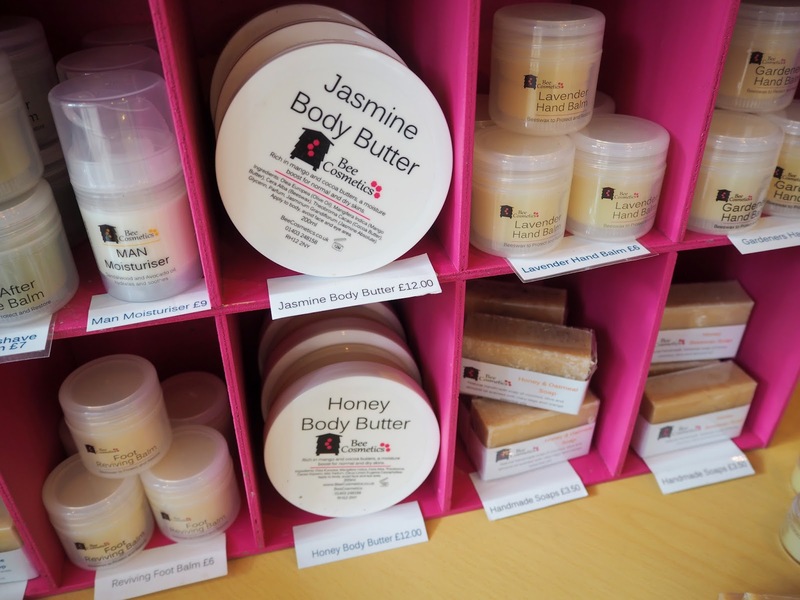 Handmade cosmetics combining carefully selected oils, butters and essential oils. For soap making they use a Cold Pressed method therefore it retains the skin softening glycerine which is stripped out in commercially produced soaps. Hand cut and cured for 4 weeks with coconut, olive and almond oils combines with beeswax to produce a mild, soothing, vitamin rich and moisturising recipe. 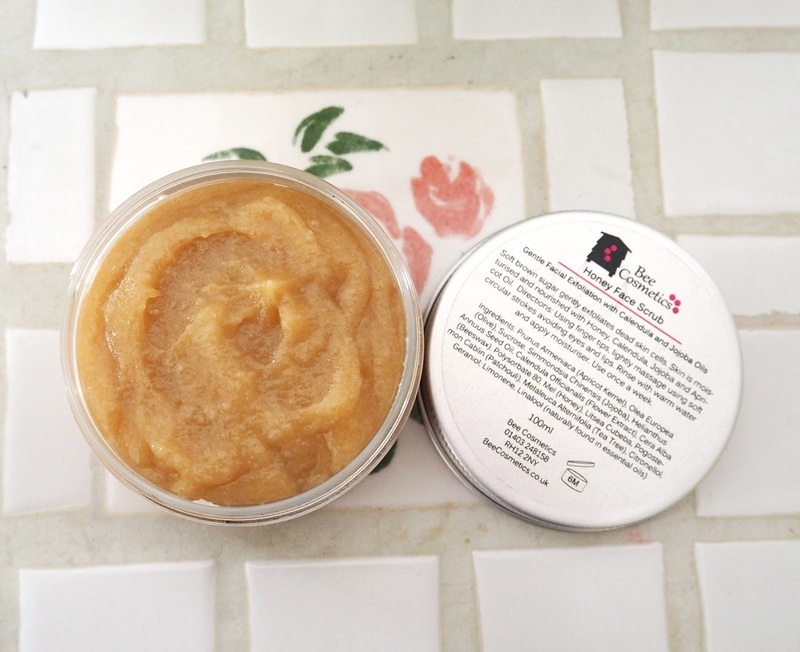 Bee Cosmetics key principles are minimizing the list of ingredients, no animal testing, avoidance of preservatives, no petroleum products just beeswax and natural vegetable oils, butters, botanicals scented with essential oils and fragrances. *Informations taken from Bee Cosmetics website. 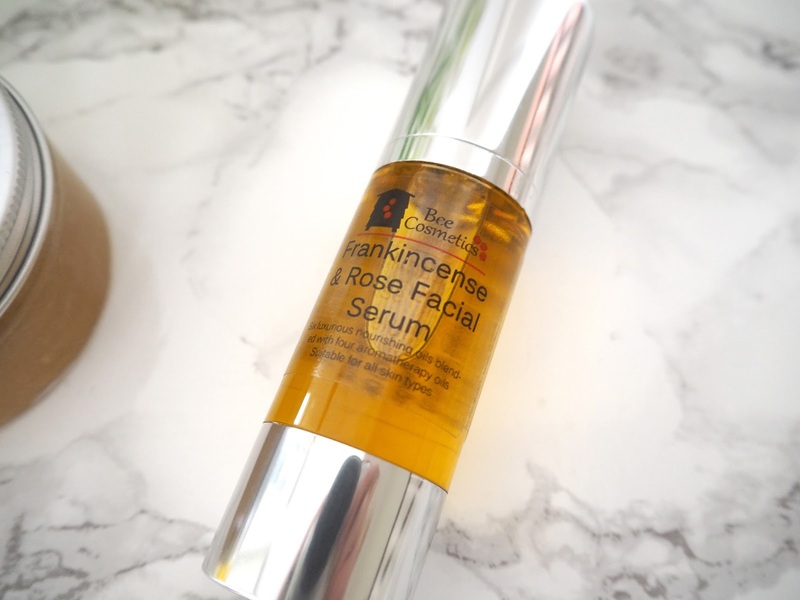 I've been using these products for the last couple of months now, which I think is a good length of time to determine the benefits of a new product on the skin, so I thought I would share my thoughts with you. I am definitely keen to order their Day Moisturiser try. 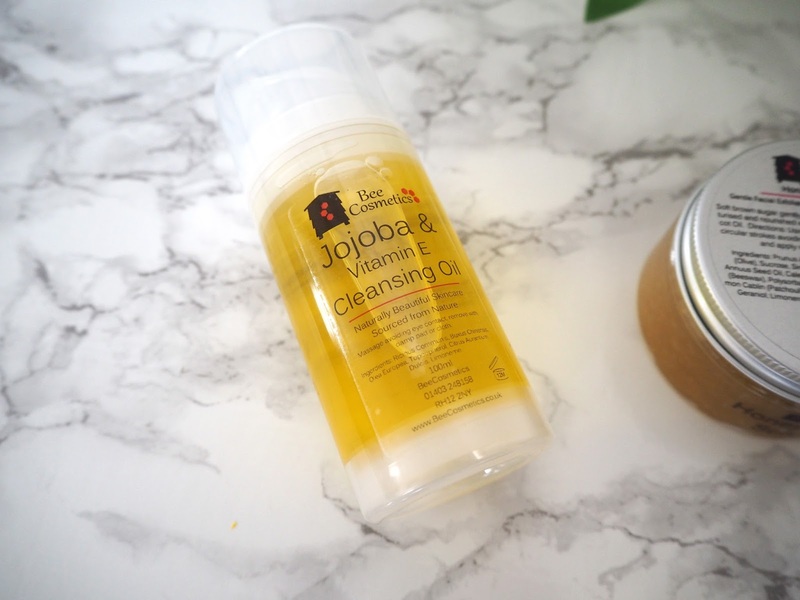 It has avocado, olive and almond oils in it and is said to leave the skin shine free! 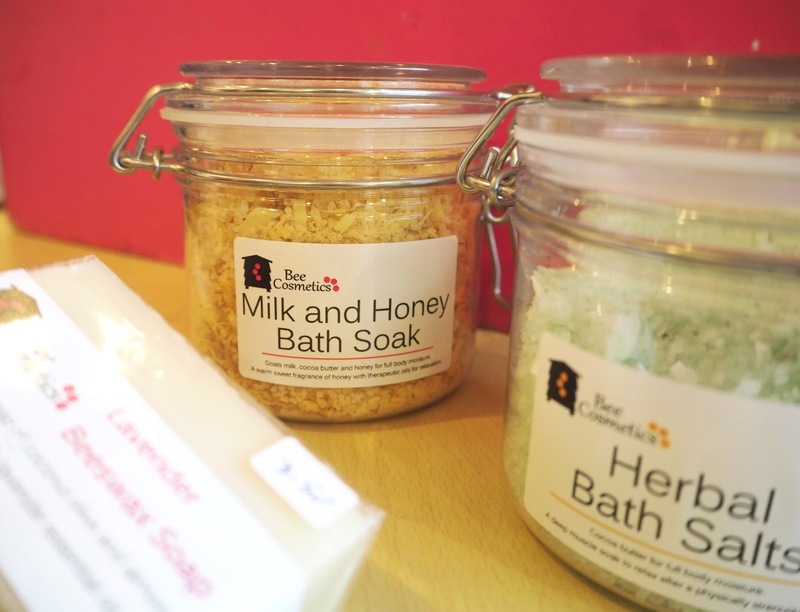 The Milk & Honey Bath Soak, Herbal Bath Salts and Jasmine Body Butter also caught my eye along with some of their beeswax candles - because we all know I love a candle! 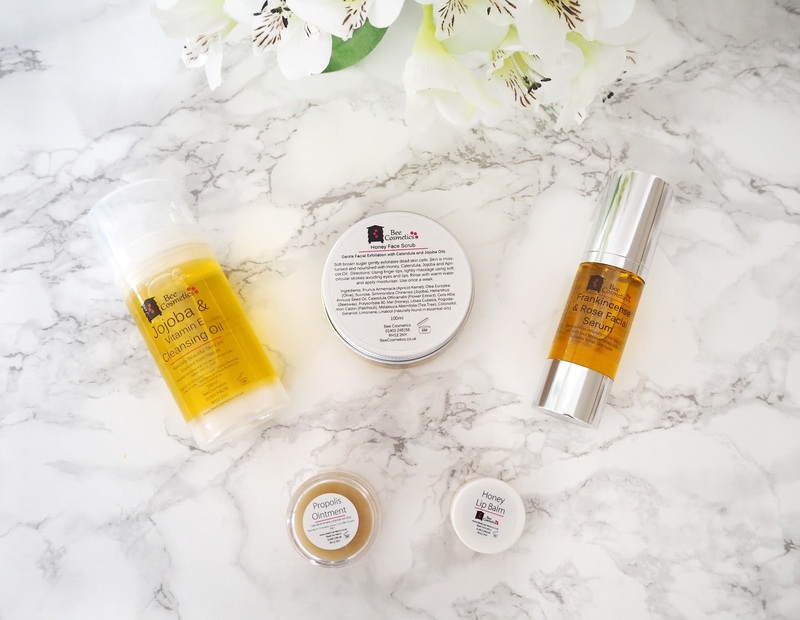 Check out Bee Cosmetics range of products for yourself by visiting their website where they're offering free postage on orders over £12 throughout the month of June!